IS Winky D slowly becoming a master of brewing flop projects? Could the sun be setting for the Ninja President after being on the throne for so long?There is an air of desperation in Winky D’s recent works, his recent releases paint a picture of someone who does not know where he truly stands as far as his sound is concerned. When he broke the ice, becoming the first of the trending artistes to release his album in February this year, many thought he would buttress his dominance in entertainment but alas, he flattered to deceive. The album “Gombwe” only managed to grip the market for a few weeks — it was all bubble gum. As soon as Killer T and ExQ dropped their albums, Winky D’s efforts were obscured in the twinkling of an eye. Not even his poorly scripted “Ngirozi” video could stir enthusiasm among music lovers as was witnessed by the video’s frail strides to reach the million mark. It took the video months to hit a million whilst other kingpins in the game take less than 25 days to bank a million. It appears fans are not crushing on him like he claims on the track “Highway Code”. After finding the going tough so early in the year, Winky D and his Vigilance crew decided to go back to the drawing board and unfortunately they picked the wrong card — they committed musical suicide. They opted to go back to the popular riddims — a route which Winky D and some top dancehall acts had abandoned for a while as they were being outshined by upcoming acts that are more energetic and more in touch with the dancehall fan base. He got himself onto the “Elders Riddim” and his attempt — “Parliament”, was eclipsed by upcoming lads. To make matters worse, the riddim lacked the punch to compete with other riddims on the market. So it was yet another dud attempt from the Gafa. After reaching a dead-end on the riddim route, Winky D became desperate to find his way out of the web of confusion he had entangled himself in. With the year quickly coming to end without anything solid for the Gafa to reflect on except the NGO-supported HICC full-house, the chanter decided to ditch dancehall for hip-hop. And on the day of Jah Prayzah’s ninth album launch, the Gafa dropped the tune “Paper Bag”. Many anticipated that “Paper Bag” would be loaded with goodies as the video of the track was premièring on Trace Africa, but again it proved to be a trash-filled paper bag. Whilst there were some cool punchlines on the track, it is clear hip-hop is not meant for him. Hopefully he took some hip-hop lessons from what Luveve Boy Cal_Vin went on to do with the same beat — it is a much better song. Perhaps he should have done a collaboration with the artiste. Today, a month after releasing the song, it has only amassed a paltry 215 000 hits on YouTube. The number may appear huge for some other acts but if you are one of the presumed big-hitters in the land, then such a struggle is worrying. To make matters worse, Jah Prayzah dropped a video a day later which has already surpassed the million mark and has been trending on pole position for weeks on YouTube. Meanwhile, on the streets new kid on the block Enzo Ishall is buzzing like a hideous swarm of bees. Winky D used to be the master of locking the streets with his sizzling offerings but this year, the going is proving tough for him. At the moment, Winky D has nothing on the “Kanjiva” chanter who has other hot singles to silence competition. If one argues that Enzo is on a lucky stretch, then let us talk about Jah Signal. Jah Signal has been buzzing since 2017 and 2018 has seen him set himself up as a force to reckon with. 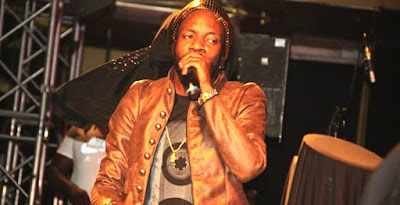 Probably Winky D is now crushing towards his nadir alongside the likes of Soul Jah Love and Seh Calaz, who are also struggling to shine on the market with their new albums as was the case a few years ago. Last week Winky D decided to return to dancehall and dropped the track “Kasong Kejecha”. Due to its political undertones, the song has been quickly embraced by those inclined to opposition politics, who like Winky D, are also pursuing relevance with nauseating attention-seeking gimmicks. “Kasong Kejecha” is just another mundane offering from the Gafa. He tries to thrive on the now abused calypso beat, which sounds just like everything he has released since “Disappear”. Perhaps a different producer could have done a better job. It sounds rushed.